The ultimate influence generators are Mega Buildings and in some instances resource tiles. In this section Mega Buildings are explained. 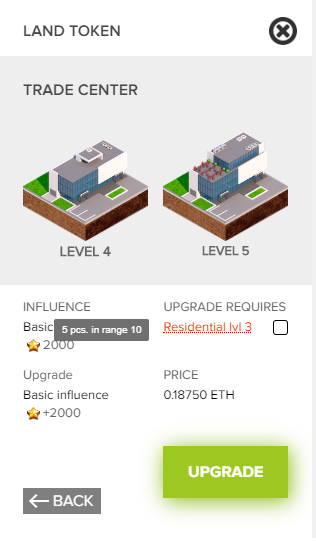 Unfortunately, the function that allows for uniting two Huge (LVL6) buildings in one Mega (LVL7) Building was removed during the last code revision. 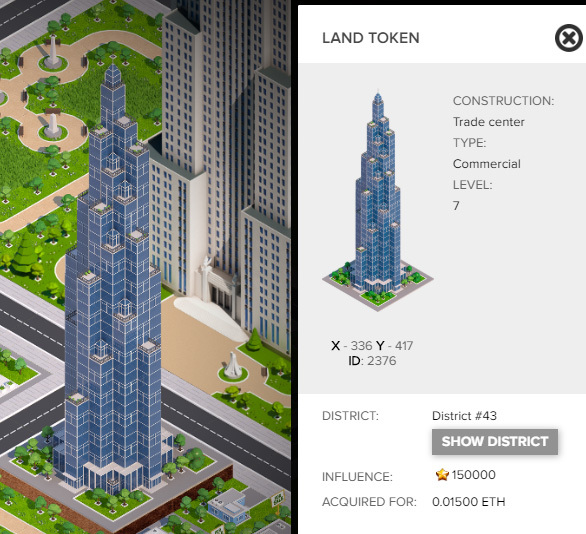 That part of MegaCryptoPolis smart contract was just too long to fit in one block of Ethereum network. 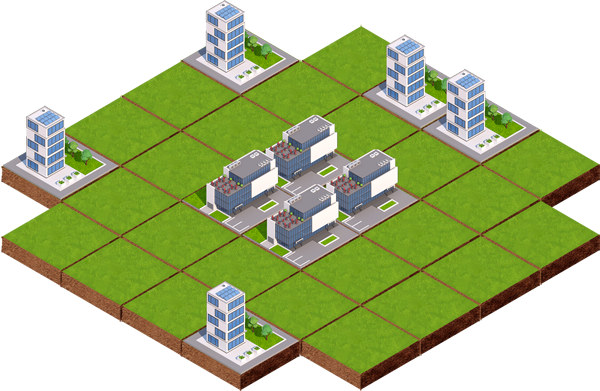 However, upgrading can be done by downgrading both Huge (LVL6) buildings to 4x LVL5 (by pressing Demolish button on your Huge builds) and uniting them to Mega (LVL7). Demolishing Huge builds WILL NOT destroy building – this button will be renamed in upcoming release. You will notice in the image above, the amount of influence is highly inflated to 150,000 Influence points from 1 MegaBuild! That is a huge amount from 4 tiles. 37,500 each tile in fact! How do we create one of these amazing mega buildings? You will require a 4 tiles in a 2×2 sequence.. this can work out more expensive but the benefits are great! You may also require some dependencies as explained in that section of this website. So in order to create the Mega Trade Centre, you will require certain upgraded buildings to be in range. You can view the progress in the images below; it is wise to control both the residential building and the 2×2 of trade centre level 1’s. This way you are not relying on many other players. **IMPORTANT NOTE** To upgrade the residential this has requirements. 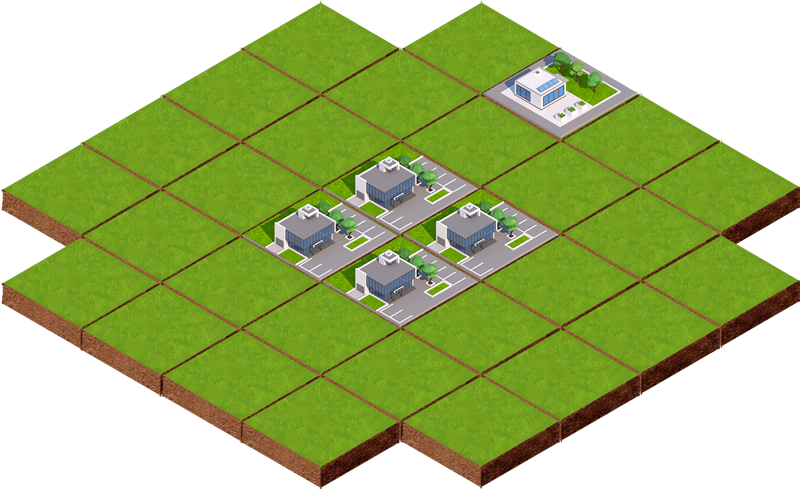 This will allow you to upgrade your trade centre buildings much easier! 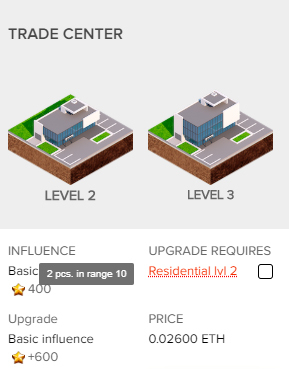 Upgrade to level 5 builds only and DO NOT create 2 Huge builds,IF you plan to upgrade to a 2×2 Mega. You can NOT upgrade from 2 x huge to 1 x Mega..